Relaxation is very necessary for keeping your life on track. It can be achieved by doing meditation, chatting, playing games or involving in hobbies. There are millions of hobbies out there like biking, car racing, photography, knitting, shooting, cooking etc that helps in keeping mind calm. What if these hobbies and games combine? Developers kept this in mind and made millions of games for smartphones and tablets. And why not; after all hobby related games are interesting. In the list of games based on hobbies, cooking games are most played games by girls as well as kids. 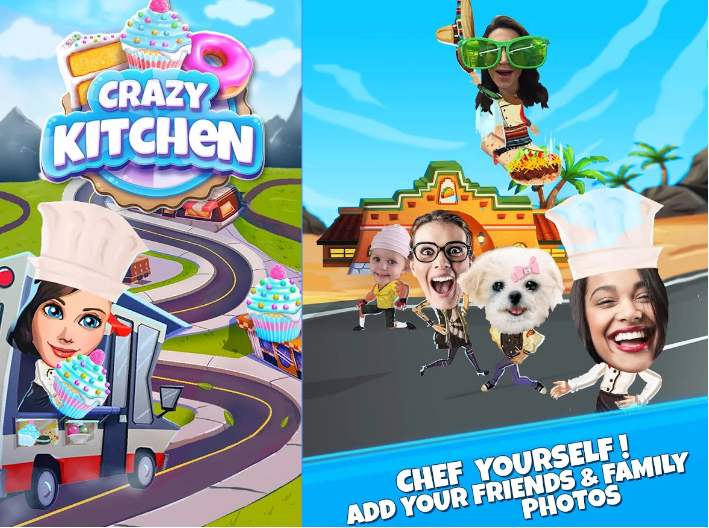 There are many cooking games for Android as well as iOS. These games are just like real cooking with lots of challenges and fun. We have done deep research and find out best and free cooking games for Android and iOS. 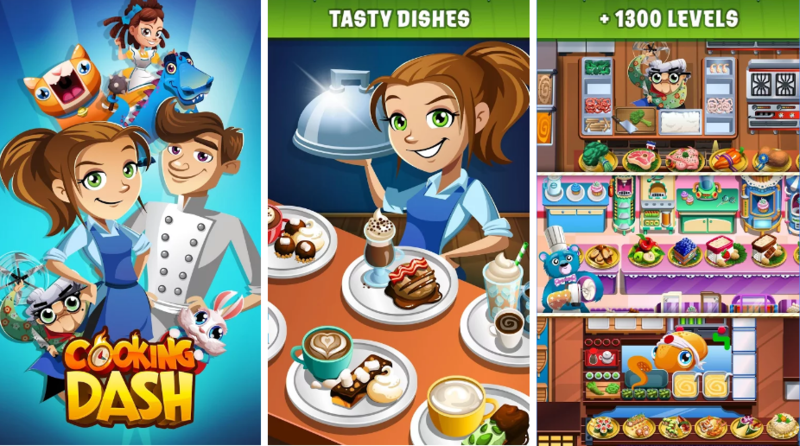 These are the most played cooking games for Android and iOS. Let’s have a look at the list of real cooking games. These are free cooking games for girls. You can buy any of them to play and learn time management in cooking. Cooking fever is a free addictive time-management cooking game. You can cook delicious meals and desserts from all over the world. 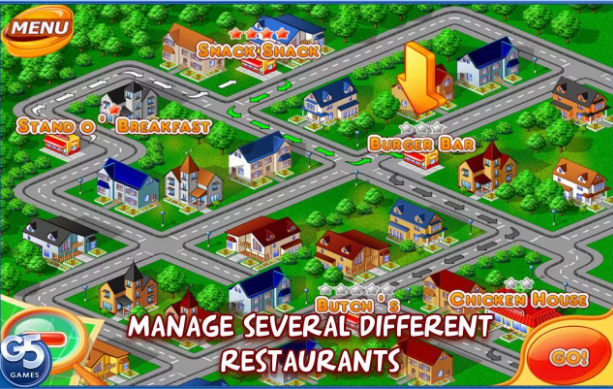 This free cooking game has a choice of 18 unique locations. Do you love burgers? 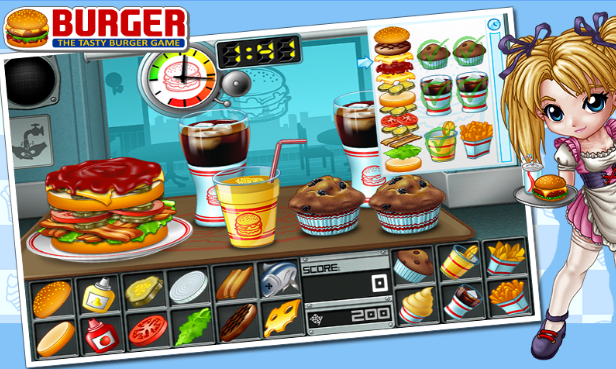 If yes, then you will love this burger-serving game. 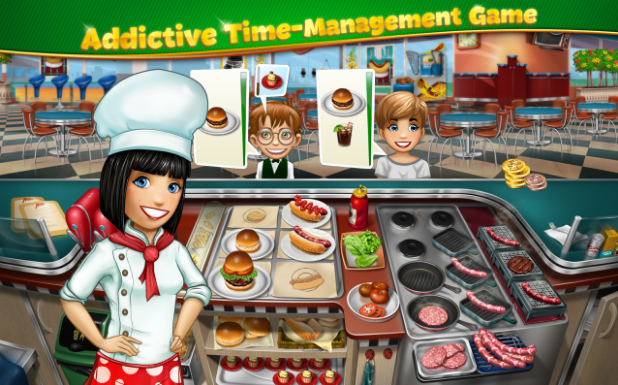 This time management cooking game will definitely entertain and challenge you as a chef. This cooking game is free with the Magma Mobile’s touch. This free game on cooking is like a story playing. Master chef will hire you in a chain restaurant. You have to serve clients as fast as possible to earn money and even tips for yourself. Lots of different ingredients like bread, meat, and lettuce are there for you in the kitchen. Take maximum orders from your customers. Please them with best sandwiches, desserts, ice creams, garnishes, and sodas. 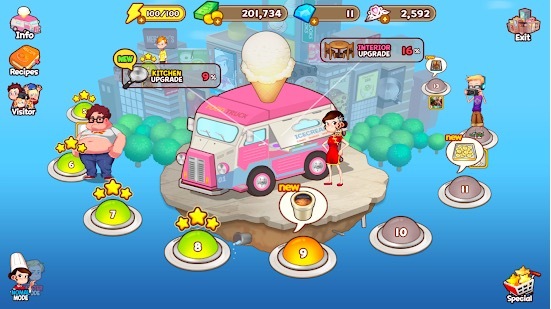 The beauty of this cooking game for Android or iOS is the more you will play, the more ingredients will appear in the fast-food. So, Take the cooking challenge, Work from Monday to Saturday and achieve your goal to get more money and new ingredients for the service. Do you feel like burgers and french fries are easy to cook and you want more challenges? But like what…mmmm… Exotic Food? Then this international cooking game is for you. Yes, there’s a spot for you in the kitchens of World Chefs with talented chefs and recipes from over 20 nationalities. Make your dreams true. Open your dream restaurant, name it, decorate it to your taste and run your own fine dining restaurant. With World Chef start cooking world cuisines and serving customers. Buy and trade fresh ingredients and cook increasingly delicious dishes like Tacos, pizza, sushi. This is not a fast food joint. So, take your time, cook slowly and make your best recipes. Your customers know they will be worth the waiting. Love Cooking and Traveling? A perfect place to live your dream as a chef. In this cooking game, you will travel the town to town and you will always a new chef in town. Satisfy customers’ hunger as you travel to various lands creating delicious bakery sweets, savory Asian cuisine, scrumptious Mexican fare, and more. There are Addictive match-3 gameplay with 500+ challenging, yet satisfying levels and fun combo boosters and power-ups. You will get daily costume rewards and extra special features give you coins for free. 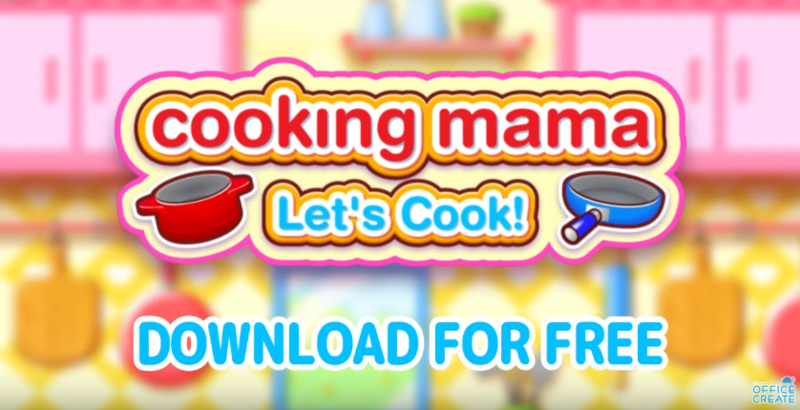 Make amazing recipes with Cooking Mama. You have tasks like Chop, bake and boil food by using only your finger and create delicious dishes in no time. There are many modes in this cooking game like Trial Cooking, Game plaza, challenge ranking. In Trial cooking, more than 30 recipes are available. Earn coins in the game and you can try out new recipes. In Game Plaza, you have to play free games such as Help Out and Exercise your brain. This cooking game for girls takes Guarantee to make you feel hungry. This is online cooking game for Android virtual world. 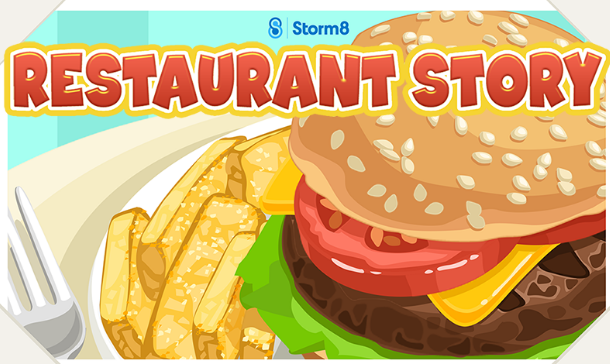 With restaurant Story, you can design your own dream restaurant. Make sure your customers are happy by serving them best in the world. Choose stunning decoration and tasty new dishes for your customers; after all, presentation matters a lot. You can customize and choose a top-class menu to suit your tastes and also you can showcase your cafe and earn extra-special tips from friends. There is a secret of success here, exchange your secret recipes with your friends. My Cafe is one of the restaurant game. Your coffee shop adventure starts as you open a classy cafe with your friend Ann and serve her guests with delicious drinks and baked goods. 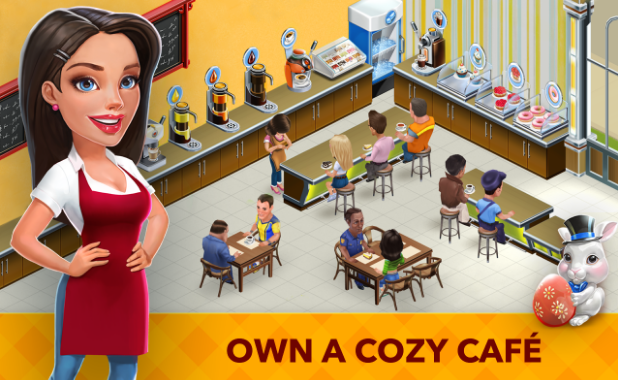 You can design your coffee shop, build a diner, bakery, or restaurant and hire staff, set prices on the menu in this restaurant game and buy furniture. Develop your own business strategy here. Take big risks in your business or go for slow to ensure you make a profit and thrive in Cafeland. You can be engaged with your customers with stories. 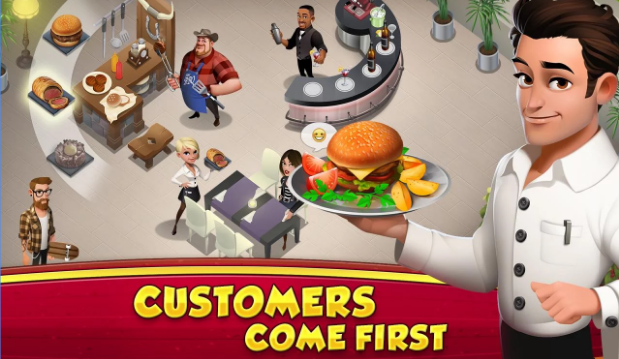 There is story mode with unique characters and meaningful relationships in this restaurant game. Make new friends and experience your own restaurant adventure. With Bistro Cook, take the cooking challenge and tell others how fast you are. Bistro cook has live scores that tell about your time management. This cooking game is for Android and can be played by any age group person. This is not just a cooking game. It is the real cooking game with time management that challenges your skills as a chef. Beautifully designed and the best solution for engaging your free time. Help your chef and join in her tasty mission. She has decided to save some restaurants in trouble with her super cooking skills. This is also a time management game. You have to help the chef with cooking and serving delicious meals in different and unique restaurants. But you have to be real fast and pay extra attention. There are 300+ different phases in incredible seasons per restaurant. Help Flo and Cookie in their new special show: Dreamy Delights. COOKING DASH is a new time management cooking game for Android. You have to prepare for recipes, cook, decorate them and serve delicious menu items in each exotic restaurant in front of a live studio audience. Hear them cheering you adds amazing experience. Try to earn profits in each exciting episode. Quirky customers, superstar VIPs, and fast-paced kitchen action and TV fame await! There are hundreds of episode in this cooking game. 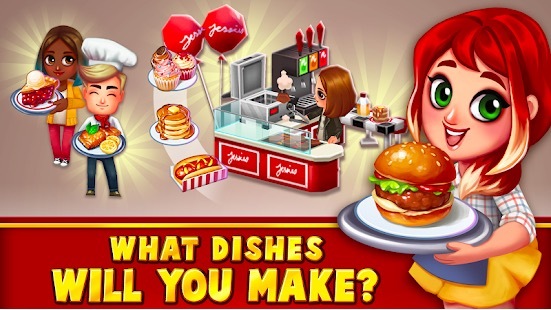 As mentioned about this game, Make special Recipes in the Prep Kitchen and attract customers with their favorite dishes. They’ll get you more and more famous, drop cool items, and give you special powers to blast your coffers with mega-profits and keep your star on the rise. 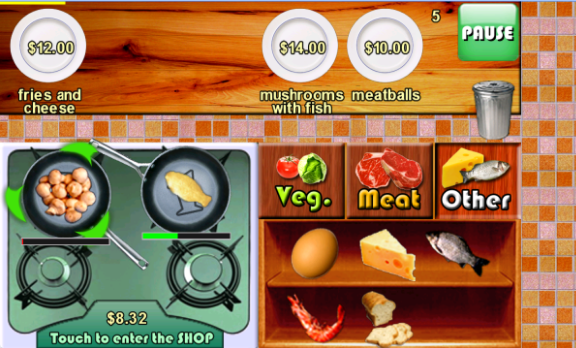 Stand O’ Food is an online cooking game challenge with millions of players. You have to be fast and real good as there are many other restaurants out there. Feed your customer before they leave in a huff. But this game is not all about speed, you’ve also got to plan ahead. Earn enough money to purchase condiments and upgrade your equipment to serve tastier food even faster than before. There are two Gameplay modes named Quest and Lunch Rush. It has more than 100 levels and 80+ sandwiches to create. Cooking Adventure is also one of the best cooking games you can try on your Android and iOS devices. The game lets you challenge your cooking skill and teaches you time management. The game has 20+ unique restaurants to try, 1000+ levels, 550 dishes, 700 ingredients and more. 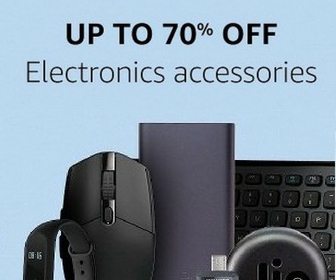 You can also upgrade your kitchen appliances and restaurant decorations. You can also speed up the upgrade process by making in-app purchases. The game requires an internet connection to play and I recommend you to try on WiFi to avoid high data charges. 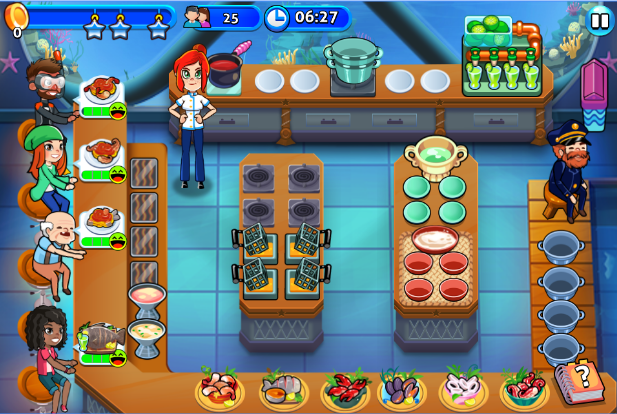 Food Street is also a cooking game offering restaurant simulation. It lets you create and decorate your own restaurant. Then you can put yourself in charge of your business and make your own cafe and bakery. You can cook food and prepare original recipes in a stunning 3D city. You can also start farming your own ingredients. You can cook food and serve to customers. Basically, you will be living in a virtual world and running your own restaurant. These are best cooking games for Android and also my favorite cooking games too. These cooking games also played by boys. Trust me there is no girly stuff in these games 😉 These are just hobby based games. If you know about any cooking games for Android that are better than these, do tell us. We will check them and add in this list.